YEAR ROUND shipping service for all of New England! We ship everything from a small box to a 40-foot container to Anguilla, Antigua, Aruba, Bahamas, Barbados, Belize, Cayman Islands, Dominica, Dominican Republic, Grenada, Guyana, Jamaica, Puerto Rico, Saint Kitts, Saint Lucia, Saint Vincent, United Kingdom, Trinidad and Tobago, US and UK Virgin Islands and many more! Get in touch for our competitive prices or to schedule a pickup or delivery. Shipping from Rhode Island to the Caribbean islands? We service all of Rhode Island. We ship from Appliances, Cars, Crates, Barrels, Boxes, Pallets, 20′ and 40′ containers to just about anything that is non hazardous. Ship from Rhode Island to Jamaica for $100 per barrel and $167 per barrel to Dominica, Trinidad, Barbados and St. Lucia. Call or email for prices to other countries. Shipping from Massachusetts to the Caribbean islands? We service all of Massachusetts. We ship from Appliances, Cars, Crates, Barrels, Boxes, Pallets, and Machinery to just about anything that is non hazardous. We also provide 20′ and 40′ container service to anywhere in the Caribbean. Ship to Jamaica for $100 per barrel and $165 per barrel to Dominica, Trinidad, Barbados, Guyana, Belize and St. Lucia. Call or email for prices to other countries. Shipping from Connecticut to the Caribbean islands? We service all of Connecticut. We ship from Appliances, Cars, Crates, Barrels, Boxes to just about anything that is non hazardous. Ship to Jamaica for $100 per barrel and $165 per barrel to Dominica, Trinidad, Barbados, Guyana, Belize and St. Lucia. Call or email for prices to other countries. Shipping from Maine to the Caribbean islands? 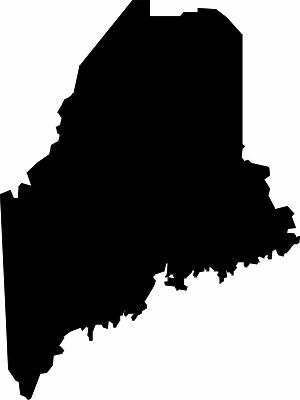 Our partner services Northern, Central and Southern Maine. Shipping Appliances, Cars, Crates, Barrels, Small Boxes and just about anything that is non hazardous. As long as we can get it on a truck, we can ship it! Shipping from New Hampshire to the Caribbean islands? 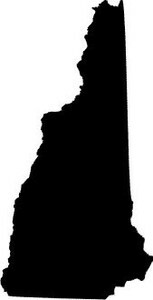 We service all of New Hampshire. 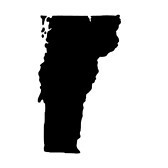 We service Northern, Central and Southern New Hampshire. We ship from Appliances, Cars, Crates, Barrels, Boxes to just about anything that is non hazardous. Ship from New Hampshire to Jamaica for $100 per barrel and $160 per barrel to Trinidad, Barbados and St Lucia. Call or email for prices to other countries. Shipping from Vermont to the Caribbean islands? We service all of Connecticut. We ship from Appliances, Cars, Crates, Barrels, Boxes, Pallets, Machinery, and 20′ and 40′ containers to just about anything that is non hazardous. Ship to Jamaica for $110 for 1 barrel, $100 each for more than 1 barrel. Ship for $165 per barrel to Dominica, Trinidad, Barbados and St. Lucia. Call or email for prices to other countries. Shipping from New York to the Caribbean islands? We ship from Appliances, Furniture, Cars, Motorcycles, Crates, Barrels, Boxes to just about anything that is non hazardous. We also ship pallets, machinery, 20′ and 40′ containers. For New York City service call 973-676-8625. Shipping from New Jersey to the Caribbean islands? Our partner services most of New Jersey shipping Appliances, Furniture, Cars, Motorcycles, Crates, Barrels, Boxes and just about anything that is non hazardous. Returning residents. Competitive commercial shipment rates. Newark, Paterson, Asbury Park, Plainfield, the Oranges, most of NJ. We have over 25 agents throughout the Caribbean to serve your needs.